← What is Classical Music and does it take a PhD to enjoy it? After 27 days, my Taking Perceval to the Next Level fundraising campaign at GoFundMe has raised $530. I need another $8370 to meet my goal. My deadline for paying off the debt is May 30. The $0 interest promotion ends shortly thereafter and I’ll be back to paying off interest as well as the principal. I’d love nothing better than to put this baby to bed sooner rather than later. Not long after I launched this campaign, I received an e-mail that still haunts me, calling this campaign “online begging.” Perhaps it is. 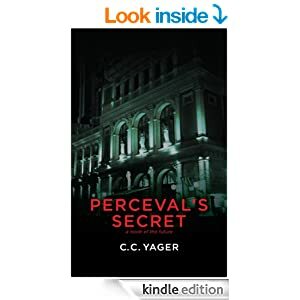 Or perhaps it’s an opportunity to be generous, to do something nice for someone who is in need, or to invest in a writer who’d really like to get Perceval’s Secret published as a paperback. That won’t happen until I’ve paid off my debt. At this blog, I have an Appreciation page where I’ll list everyone who has helped with donations. I’ve run a promotion with giveaways at Facebook, and I plan to run another one soon. I’ll let you know when the next Facebook promotion goes live. In the meantime, please consider a small donation to this campaign. Every little bit helps! This entry was posted in Business, The Writing Life, Updates and tagged "Perceval's Secret", GoFundMe, raising money, Taking Perceval to the Next Level, Updates. Bookmark the permalink.